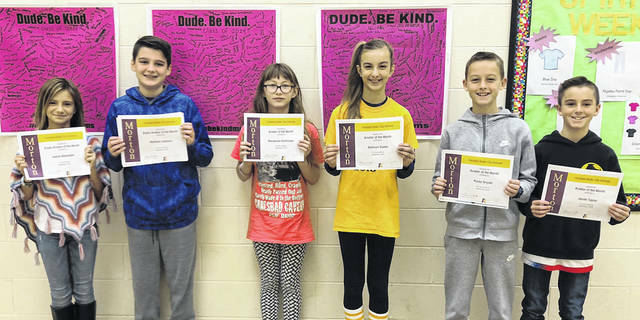 Congratulations to the sixth grade Morton Aviators of the Month pictured left to right Isabel Alexander, Matthew Jackson, Mackenzie Kohlrieser, Addison Suess, Korey Snyder, and Jacob Taylor. 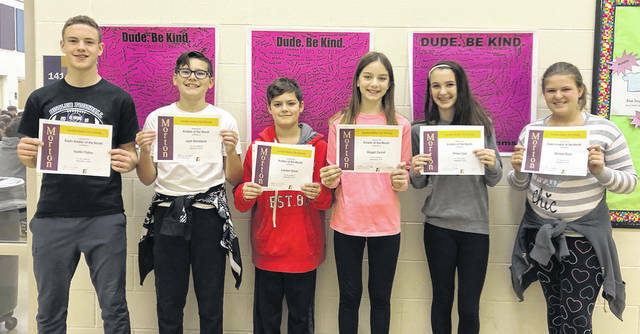 Congratulations to the seventh grade Morton Aviators of the Month pictured left to right Austin Flohre, Josh Strickland, Landon Oliver, Abigail Carroll, Khloe Cool, and Marissa Boyd. 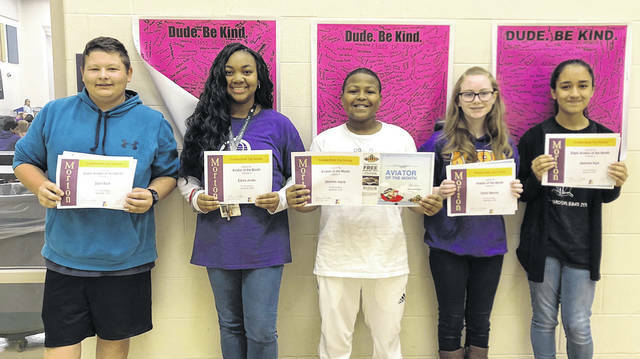 Congratulations to the eighth grade Morton Aviators of the Month pictured left to right Zach Back, Elexis Jones, Doniven Joyce, Emily Mannix, and Jasmine Kaur. Not pictured is Hashem Albezreh.